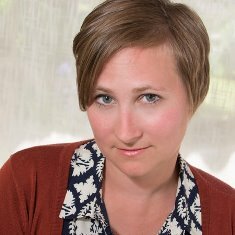 A Literary Vacation : Review: Woman Enters Left by Jessica Brockmole + Tour-Wide Giveaway!! 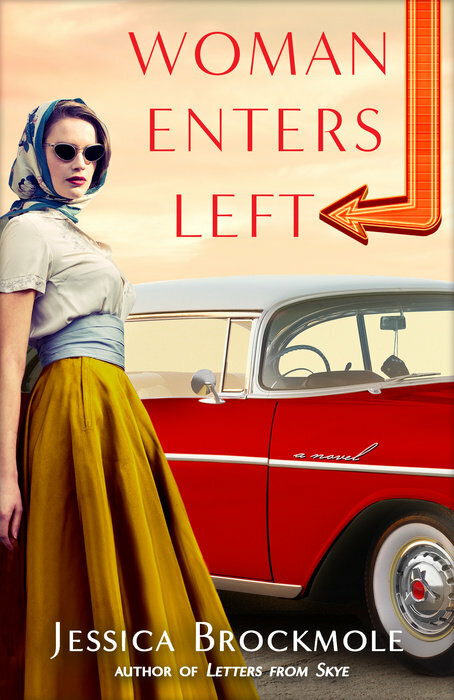 Review: Woman Enters Left by Jessica Brockmole + Tour-Wide Giveaway!! I absolutely adored Jessica Brockmole's debut novel, Letters from Skye, when I read it a number of years ago. It was the first epistolary novel I can remember reading that just completely captivated me and brought the characters and the Isle of Skye to vivid life. While I haven't yet read her sophomore novel, At the Edge of Summer, I've been wanting to for some time and didn't want to miss the chance on this newest book, Woman Enters Left, when the blog tour was announced. So I jumped on board and I'm so glad I did! Woman Enters Left is really two stories in one - that of film star Louise Wilde in 1952 and that of friends Florrie and Ethel in 1926. I say it's really two stories because each is so well developed and detailed that I sometimes forgot that they were even connected through mother (Ethel) and daughter (Louise). Louise's story is narrative in style, describing her journey across the country and her search for truth and self, while Florrie and Ethel's adventure is told in journal entries, grocery lists and notes and, later, letters, medical records, and court documents. I really loved having these two stories that seemed, in broad theme, to be very similar, told in such different and unique ways. Even the actual drives are very different - Louise's is relatively comfortable and stylish - in my mind she looks very much like the woman on the cover! - while Florrie and Ethel are camping outside, under lean-to tents, and trying to mask pain, both physical and emotional, from each other. Even with these differences each woman is searching for the same thing - honesty, love, and hope that what they truly desire will become easier to see and, in a perfect world, attainable. The time periods and situations are wonderfully brought to life in each story as well. It is so easy to picture the Hollywood heyday that Louise lives within, a filmy glamour that hides sexism and ugliness not far below the surface. We also get to see the aftermath of war through Louise's husband, who has just arrived back from the Korean War and is still dealing - or not dealing - with trying to get back to normal life with the addition of an injury that has put him in a wheelchair. I love this juxtaposition of glitz and glamour with heartache and unseemliness. In our other storyline, we have, on the surface, two friends on a great adventure across the country - one reaching towards a fulfilling career and one reaching towards family - while hidden below this surface is complicated love and great illness brought about when both of these women worked together painting luminous dials on watches that, unbeknownst to them, was giving them radium poisoning. I was only vaguely aware of Radium Girls before reading this story but I found this aspect to be quite fascinating. I also became quite taken with both Florrie and Ethel and hurt along with them as they tried to find their own happiness in the midst of some devastating realities. While these two stories are quite separated, there is still the connection between Ethel and Louise and it kind of broke my heart watching both, in their own timelines, trying so desperately to find each other (Ethel literally and Louise figuratively). Louise's search for the truth of what happened to her mother and why her father took her away (leading to Ethel's journey with Florrie) was bittersweet but what it did do was give her time to figure out her own life and what she wanted from it. It also led to a wonderful, heartfelt ending that I absolutely loved. I can't say enough about Woman Enters Left. It is such a uniquely told story that captures what it means to search for love, meaning, and happiness in life. Highly recommended! Come on it's perfect! The woman on the cover is Louise, with all her style and Hollywood attitude (in a good way!) and the car is exactly what I pictures her driving across the country. I can't think of anything else I'd rather see on the cover. Thank you to Amy at Historical Fiction Virtual Book Tours and Random House Books for providing me with a free copy of Woman Enters Left in exchange for an honest review. All opinions expressed are mine alone. Be sure to continue below for more information on the book, the tour, and how you can enter to win one of two SIGNED copies for yourself! During the Blog Tour we will be giving away 2 signed copies of Woman Enters Left! To enter, please enter via the Gleam form HERE. I so want to read this one! Fantastic review!